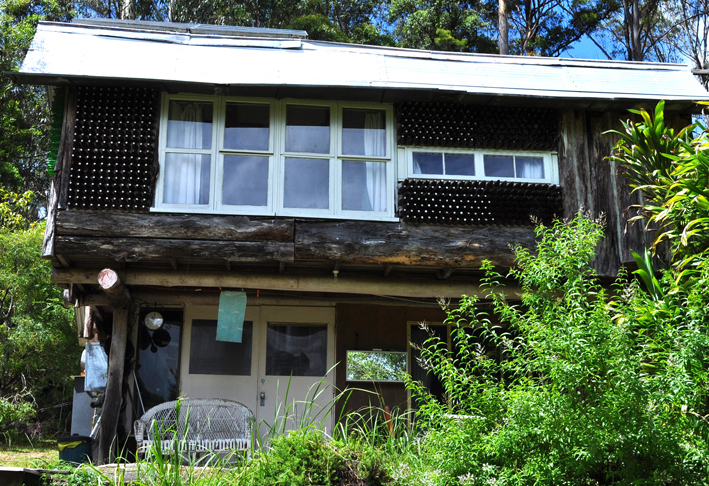 Rustic Eco Cabin – available for short term rental through http://www.airbnb.com.au. 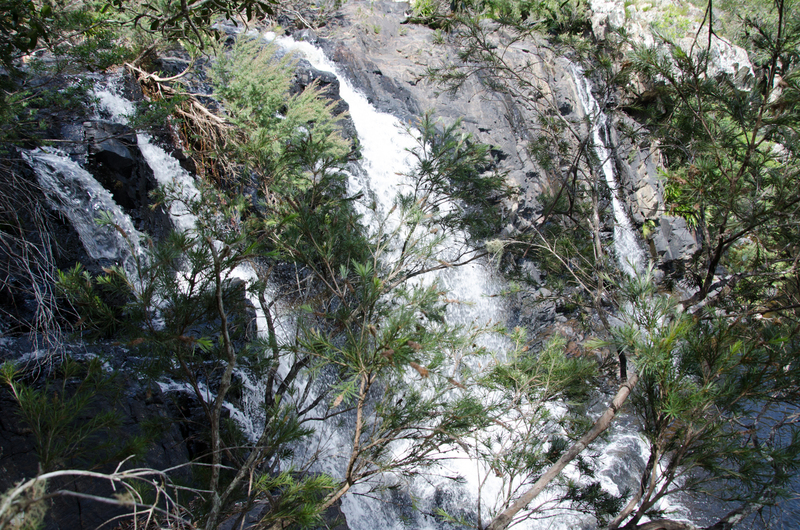 Enjoy the tranquillity and beautify of northern New South Wales mild temperate rainforest and relax in our rustic and remote eco cabin situation on 120 acres of land and including a private waterfall for swimming and plenty of nature walks and outdoor activities to enjoy. 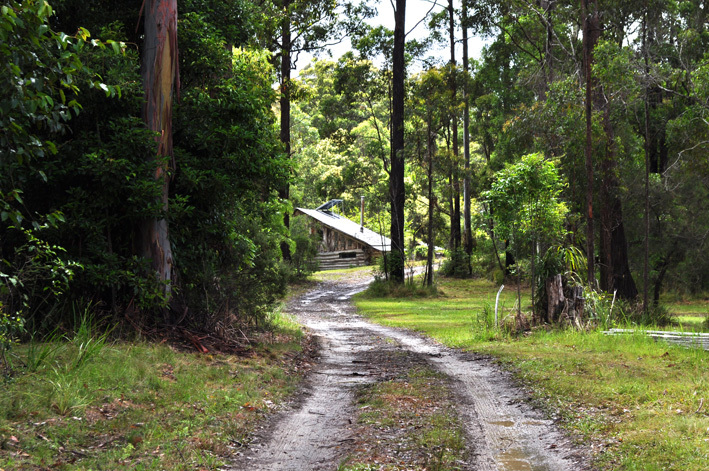 The cabin is on our property located 1 hours drive from Coffs Harbour and is at the end of a long road so you get to enjoy the quite relaxation of seclusion and peace. Our house is about a 5 minute walk from the cabin but you have complete privacy and access to the amazing waterfall and swimming hole. 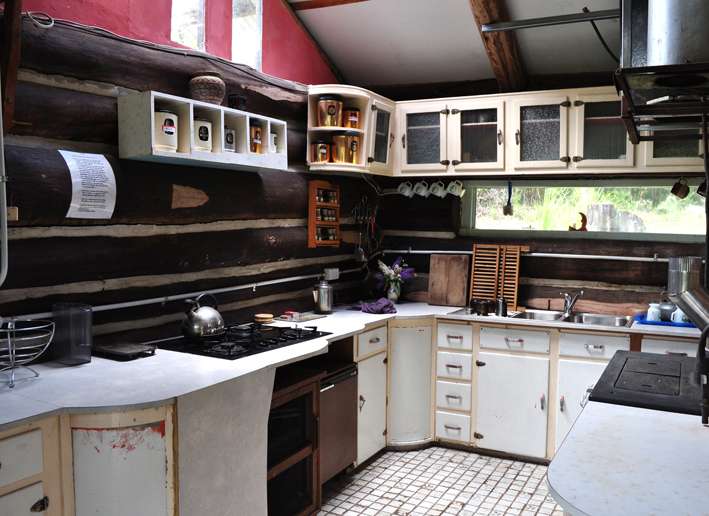 The cabin is completely eco with an outdoor drop loo, rain water tanks, solar power and even recycled bottles for the wall! It was originally built over 50 years ago by a German man (hence the beer bottle walls!) and is built mainly from hardwood found on the property. It is rustic, romantic and completely unique! It has a full kitchen and internal shower (as well as external one for hot summers days), full gas cook top, lounge area and mezzanine loft bedroom. There is one queensize bed and 2 single beds upstairs in the loft area and also a double futon bed in the lounge room area. So its perfect for a couple or a family. If you are looking for a weekend retreat or extended relaxation stay then we can cater to your needs. We have had writers, poets and mediators along with couples looking for a romantic weekend away or families wanting to get back to nature without having to give up electricity and other mod cons. We even have an outdoor bath tub that you can light a fire underneath to heat up the water, lie back and watch the hundreds of thousands of stars overhead! If you dont have a car we can arrange for airport or train station pick up and transfer to the property for a small fee. 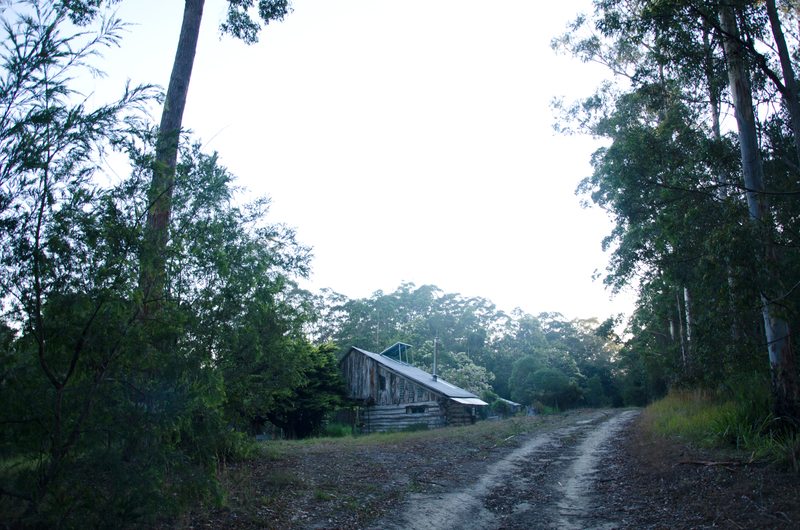 We also run health retreats and have a natural health clinic near Coffs Harbour so you can arrange for a private massage during your stay or a health consultation. Bookings can be made via airbnb.